How do we know if our period of mourning is going on for too long? "Too long" depends on the person, who one’s lost, as well as the duration and intensity of caregiving, say professionals. "The path of grief is not a period of time, but a process. People grieve through different stages. It becomes a problem when there is NO process, when people go over and over the same things, when there’s no change in what’s experienced or expressed over a long period of time. Dysfunction is when there's no movement, and the person is stuck." Losing a loved one is one of the most distressing and, sadly, common experiences people face. 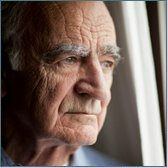 People experiencing normal bereavement have a period of sorrow, numbness, and even guilt and anger. Typically, these feelings ease. The bereaved person gradually accepts the loss and moves forward. For some people though, feelings of loss are debilitating and don't improve even with time. This is known as “complicated grief.” It’s well known to therapists who specialize in bereavement. Sandy was only 40 when she lost her young child, Mike, to leukemia. After four years, she still could not find any meaning in life. Her husband wanted another child, but she was unwilling. Eventually, they drifted apart and divorced. Even today she is back to working part time, but is unable to enjoy her colleagues or their children because she’s always in pain. She feels like a failure as a mother and a wife. She cannot let go, and cannot stop feeling sorry. "Sometimes people can't let go of grief because they equate it with letting go of that relationship," says Leiser. "The emotions can become incredibly confused: 'If I stop grieving I don't care about them or it means they're really gone. If I'm crying every day, I'm still connected to them.' "
Long term mourning can also be caused by unresolved feelings—anything from guilt over something that happened years earlier, a feeling that as a caregiver one didn't do enough, or feelings of anger. "Anger is a common part of grief that people have a hard time acknowledging," says Leiser. "There is a social stigma around being angry or speaking ill of the dead. So often, people become very angry—or even carry it from childhood—and never work it through with the person. Yet those feelings remain, even after the person is gone though we think we should only think nice things about this deceased person." "Certain situations, like multiple loss or severe trauma, may predispose people to complicated grief," says Roz Leiser, a registered nurse. The burdens of long-term caregiving can also complicate mourning. For some the grief started when their loved one because ill or debilitated. Dependency on the deceased can also complicate the mourning. Some mourners prefer to stay in this place rather than make changes and go on without the their loved one. Says Rando: "We see this as coming from an attachment disorder—the bereaved doesn't think they can go on in the absence of the individual, so they just hang on to the old world even though things have changed." Post-traumatic stress can be a factor in lengthy mourning. Witnessing an extended dying process can be distressing and make us less resilient during the grief process. Carol husband, Don, was confined to an ICU unit for nearly two years with liver disease before he passed away just shy of their 24th anniversary. She had tried to be in control and to remain strong during the period of intense caregiving, but it took its toll. Ten years later Carol says that long-term caregiving changed her. "My grief comes in waves. The waves are further apart, but I never know when they will hit. If I hear a song and it brings back a memory, I can always switch a radio station. But thoughts can be hard to control. We are conditioned to return to business as usual, to 'get over it' and 'get on with life.' But sometimes that doesn't happen easily; sometimes the feeling of deep loss can go on for years." Christine Longaker, author of Facing Death and Finding Hope and a lecturer on spiritual care of the dying, writes that even two years after her husband's death, the cycles of intense pain and sadness were excruciating. Although she wanted to ignore each intrusion of fresh pain and hopelessness—even contemplating suicide—she finally addressed her feelings of grasping, of longings for what could never be. Wanting her life back, Longaker decided to practice a new way of thinking about her greatest loss. "I am letting you go and wishing you well," she began gingerly. "I am going to survive and be strong. I am going to make a new life for myself." And after a few months, she discovered that her process of mourning felt complete. "Part of the task of mourning is to let go of our former relationship and then consciously decide to create a new life, with meaning and purpose," she writes. "This decision helps us summon the courage to finish our grief. Failing this, mourners can end up living halfheartedly in a shadow world. Grievers needs to find their own personal answer to the question: For what purpose will I continue to live?" Mobilize your social support system as soon as possible. Reach out to friends, family and your community. Talk through feelings rather than dwelling on them. Try to see a new perspective. Identify potential coping difficulties early in the grief process. Seek professional help if you feel stuck. Use rituals. Whether formal or informal, public or private, rituals can give expression to powerful emotions. Explore cultural and religious traditions around grief and spiritual transitions. These can guide your actions during confusing and chaotic times. Acknowledge your grief for smaller losses—not just death. Barbara exhibited the classic signs of an inability to finish grief after her husband of 50 years, Marvin, died after a ten-year battle with emphysema, diabetes, and congestive heart failure. The primary caregiver for most of those years, Barbara retired early from her career as a paralegal to care for Marvin full time. Though they had sufficient money to finance more in-home help, and even a nursing facility when he became totally dependent, still she felt it was her duty as a wife and a woman to tend to all of his needs. For the first year after Marvin died, Barbara rarely left the house. Ashamed of her intense emotions and unable to cope with widowhood, she spent most of that time in bed. "I never understood what was normal in the grief process," Barbara says now, five years later. "I was constantly judging the process or suppressing it, so that I would feel in control. I felt that to be strong, I couldn't express my sorrow. No words could describe the total disruption in my life that the caregiving caused; but even more was the high level of grief that permeated every day." Caught in limbo between past and future, Barbara felt nothing but emptiness in the present. She could not accept Marvin's death, and therefore couldn't begin the mourning process. Because she was the first among her circle of friends to lose a spouse, no one understood what she was going through. In her isolation she felt abnormal, which further suppressed her ability to express her grief. She wallowed in unresolved feelings of guilt, such as worrying that she hadn't gotten him to the doctor early enough, or often enough; she compiled a laundry list of hurts and grievances that she dwelled on alone. Unable to move forward, she remained stuck in fear that her grief would never end, and that she hadn't enough courage or smarts to live without Marvin. Afraid that opening to the pain would cause an explosion of unbearable emotion, she chose instead to face the other direction until one day she awoke realizing she was wasting her own precious life.